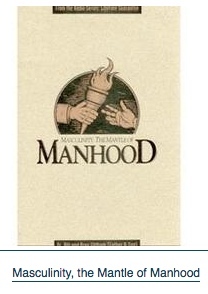 Lifetime Guarantee Ministries has published an audio series, Masculinity; The Mantle of Manhood. It features a conversation by Dr. Bill Gillham and his son, Preston. These men are advocates of a Christ-centered identity and biblical family roles.